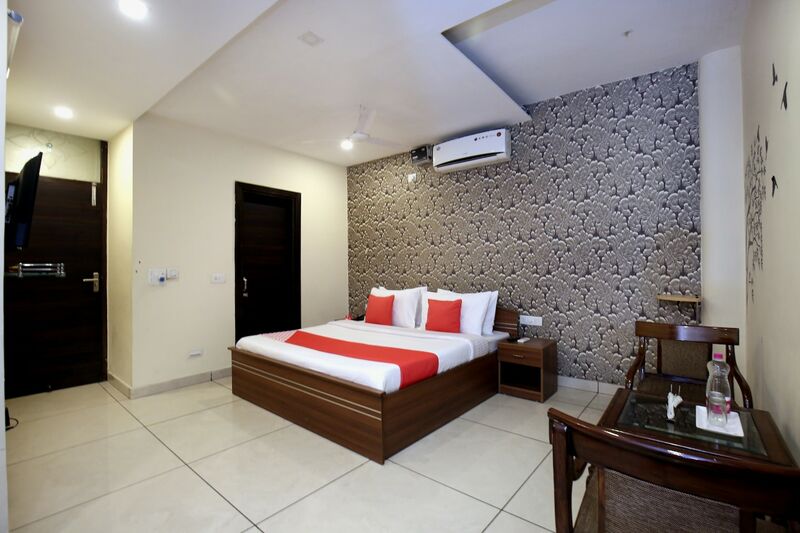 With modernistic and charming interiors, Hotel Satkar Avenue is the perfect place to spend your trip to Zirakpur. The reception gives you a warm welcome with futuristic and quirky wallpaper. The rooms have amazing interiors with classy wallpapers, lovely wall paintings and dark curtains. They are fully furnished with all essential amenities that are convenient to all types of travelers. They are also super clean, spacious and luminous. The bathrooms are also clean and well-maintained with a geyser for chilly weather. The hotel also has an in-house restaurant which provides you with delicious food without leaving the hotel. Other facilities provided are parking facility, CCTV cameras and free Wi-Fi.